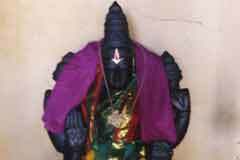 The Lord of the temple is praised by Saint Tirumangai Azhwar in his Mangalasasanam hymns. 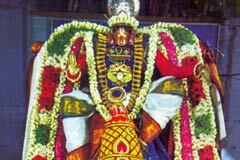 10 day Brahmmotsavam is celebrated in the temple in Vaikasi Visakam in May-June. 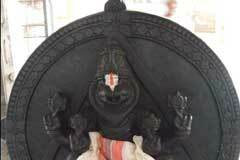 The temple is one among the Divya Desas of Lord Perumal. 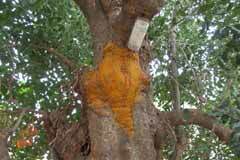 It is noteworthy that a conch symbol is on the Jack tree naturally left of the Lord’s shrine. The temple is open from 7.30 a.m. to 12.30 p.m. and from 4.00 p.m. to7.30 p.m.
Sri Vaiyam Katha Perumal Koil, Tirukudalur,-614 202, Thanjavur district. +91- 93443 - 03803, 93452 - 67501. 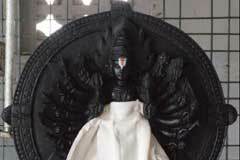 Lord Perumal graces the devotees in a standing form. The vimana above the sanctum sanctorum is called Suddha Satwa Vimana. The devotees strongly believe that the very discus of Perumal would be a security to them if they surrender at His Lotus feet. Devotees offer sugar candy and butter to Perumal as nivedhana for prosperity and marital harmony. 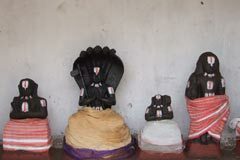 Of the Navagrahas-9 planets, this place is linked with Ketu importance. Sri Sheektha (Sri Sukta) Homa is conducted in the temple with 108 lotus leaves on full moon days. 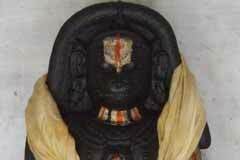 During His Varaha Avatar, Perumal went deep into earth. The gap between the two feet of Perumal in the sanctum sanctorum is considered the centre point of the world. Sage Nandaka and Devas came together (Koodi in Tamil) here to worship Lord, the place came to be known as Koodalur. Demon Hiranyaksha fought with Mother Earth and hid her under the world below-Padala Loka. Lord rescued her back to her place with His Varaha Avatara. He split the earth for the purpose and brought back her at Sri Mushnam. Remembering this event, Saint Tirumangai Azhwar praises this place as Pugunthan Oor (Lord entered into earth). 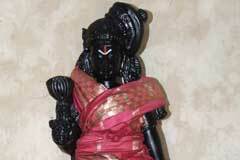 As Lord protected the world (Vaiyam) from the demon, He is praised as Vaiyam Katha Perumal. Miracle Based: The temple belongs to the 108 Divya Desa group. A natural conch symbol is found on the Jack tree – the sacred tree of the temple. Tirukudalur is 22 km from Kumbakonam on the Tiruvaiyaru road. 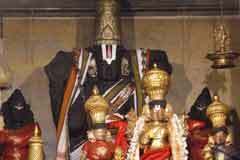 The temple is near the Aduthurai Perumal Koil bus stop. 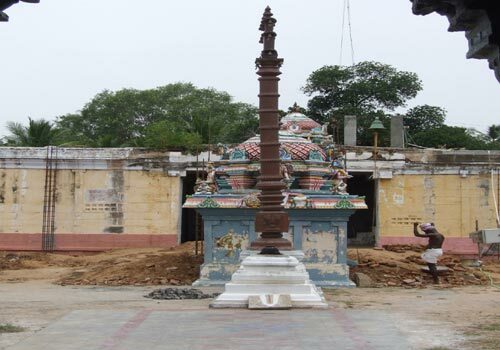 From Swamimalai, the temple is at a distance of 18 km.